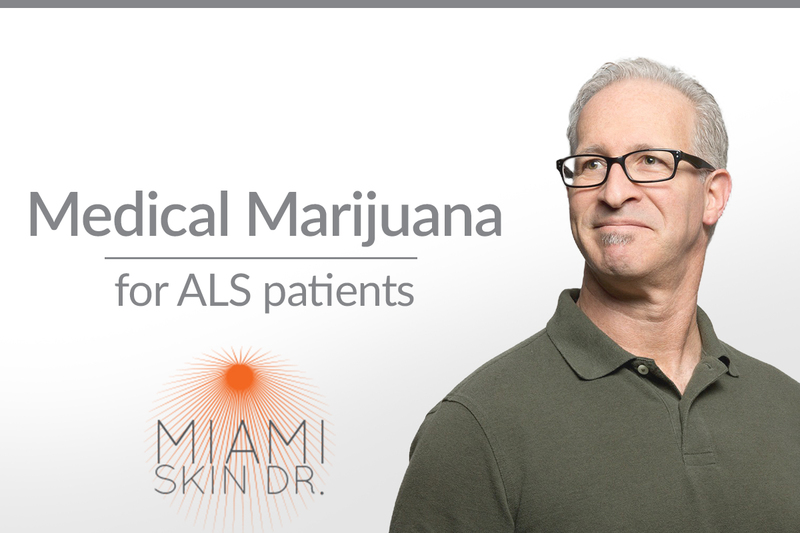 Medical Cannabis | Blog | Miami Skin Dr. Skin problems such as acne, atopic dermatitis (AD), and psoriasis are prevalent and require various treatment methods to cure them. The high presence of these diseases has led to the introduction of topical marijuana as one of the methods that can treat skin problems. The use of cannabis based products has risen after the legalization of the herb in many states in the US. The legalization is mainly for medicinal reasons although some states allow cannabis use for recreational purposes. Cannabinoids are components of the cannabis plant that can treat some maladies on the skin. The nature of cannabinoids improves their absorption by human bodies, and that is why they have an effect when consumed by people in whatever form. The human body produces its cannabinoids through its endocannabinoid system which have been found to affect appetite, skin sensitivity, and memory. When people consume plant cannabinoids, they get absorbed into the blood stream resulting in better functioning of the endocannabinoid system. The skin's vulnerability to harsh weather conditions can lead to health problems. Cannabis cream can address the problems by applying it to the affected areas of the skin. The cannabinoids contain multiple anti-inflammatory properties that boost the healing process of skin ailments. Topical cannabis could lower the time it takes to heal a wound using ordinary treatment options. Topical marijuana has antibiotic properties that help the healing of burns, rashes, and other skin problems. The products developed from the cannabis plant are ideal for various uses even though more research about them is being undertaken. Some of the ailments the products have been found to heal include analgesic and anti-inflammatory effects. It has also been found to have a relaxing effect on muscles and other body tissue. Cannabis cream has many uses for humans which explain the reason more people use it. The products are available in the form of balms, sprays, oils, and salves. You can select the form that suits your lifestyle. Topical treatment for skin cancer is another popular use of cannabis products because many people suffer from the problem and require a cure. Miami Skin Dr is a leading practice with a state-certified physician capable of submitting qualifying patients’ information to the state of Florida. Once a qualifying patient submits the necessary forms and payment to the State, the State of Florida will then issue a medical cannabis ID card. After receiving a medical cannabis ID card, patients can then visit any state-approved dispensary to receive their order of medical cannabis, including topical creams. Miami Skin Dr is a trusted and dependable medical cannabis doctor who is licensed to recommend medical cannabis as a treatment modality for patients who qualify. The experts at the clinic, led by Dr. Lawrence A. Schiffman, make sure they match the medical symptoms with the right modality. For medical marijuana evaluations in Miami, FL click here. Alternatively, call us on 305.615.2440. ALS, also known as Amyotrophic Lateral Sclerosis or Lou Gehrig's Disease, is a neurodegenerative disease that worsens with time. It impacts the brain and the spinal cord, and can have a devastating impact on patients and their families. ALS destroys motor neurons that reach from the brain to the spinal cord, as well as from the spinal cord to the rest of the body. Motor neurons are extremely important because they help transfer signals throughout the entire body. The slow degeneration of these integral components leads to death for many patients with ALS. In patients with ALS, muscles become malnourished and waste away. Some early signs of the disease are tripping and falling, clumsiness, muscle weakness, slurred speech, and trouble swallowing. Eventually patients are unable to walk or carry out daily activities. Muscle movement deteriorates and eventually fails completely, and in later stages of the disease, patients lose the ability to speak, eat, and even breathe. Although ALS is a devastating disease that causes great hardship for those who suffer from it, medical marijuana can help to alleviate symptoms. Medical cannabis can also increase the quality of life for many patients, and may even slow the progression of the disease according to some studies. Medical marijuana lacks many of the dangerous side effects of many prescription drugs, and can provide fast and lasting relief for sufferers of ALS. How Can Medical Cannabis Help Patients with ALS? 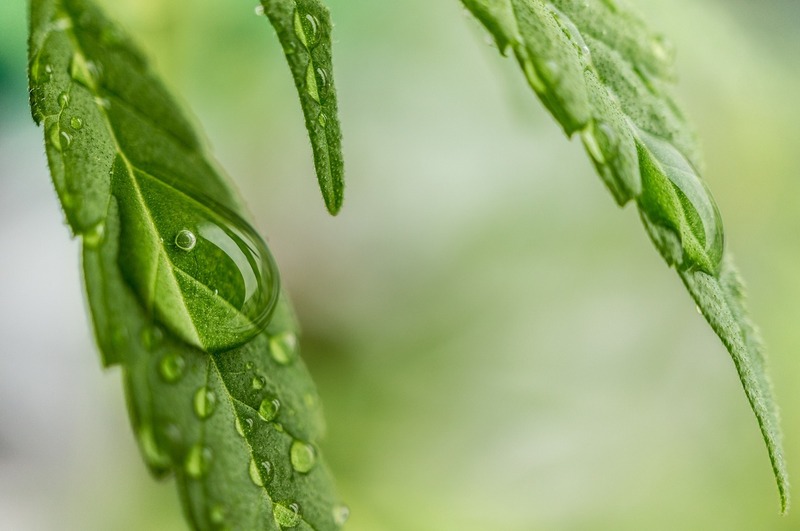 Medical cannabis has been proven to alleviate many symptoms of ALS. It can act as a muscle relaxant, saliva reducer, bronchodilator and analgesic. Medical marijuana can also be used as an appetite stimulant, and even reduces symptoms of insomnia and depression. Furthermore, regular, controlled doses of cannabis oil have even been shown to slow progression of ALS in certain patients. Many of the debilitating muscular symptoms of ALS can be relieved by medical marijuana. Talking to a doctor who can prescribe medical marijuana can greatly improve quality of life for ALS patients and possibly even prolong their lives in some cases. Since it can be difficult for ALS patients to eat, the appetite-stimulant qualities of medical cannabis can also be a huge benefit. Patients will find it much easier and more appealing to eat, and will not be at such high risk for malnutrition. Since many ALS patients suffer from depression because of their short life expectancy, medical marijuana can also greatly improve their mood and alleviate symptoms of depression in many cases. Depression can be debilitating for ALS patients and can make them completely lose faith in their future. By working with a doctor who can prescribe medical marijuana, symptoms of depression can be managed and even eliminated. Many ALS patients worry about the legality of medical marijuana. They may be concerned with getting in trouble with the law, or with not being able to access their medication because of restrictive legislation. However, laws have taken a progressive turn in recent years and it's much easier for ALS patients to obtain medical marijuana. In the state of Florida, it's legal to use medical marijuana to treat ALS. Doctors are allowed to prescribe medical cannabis for patients with ALS. Florida Amendment 2 defends this right, and sufferers of ALS don't have to worry about getting in legal trouble for treating their condition. Because of Amendment 2, there's no way patients can be targeted by the law for using medical cannabis. Medical marijuana can be extremely helpful for people suffering from ALS, and is completely legal in the state of Florida thanks to Amendment 2. By talking with a doctor who can prescribe medical cannabis, ALS patients can greatly improve their future and effectively treat their symptoms. For more information about medical marijuana in Stuart, FL click here or call us on 305.615.2440. There is no more sales tax on medical products, including those needed for medical cannabis consummation. Tele-medicine visits are now prohibited; All behavioral and medical health examinations must be performed in person by a qualifying physician, like us. Now qualifying patients can obtain up to three 70-day (210-day) supply limits of medical cannabis after being certified by a qualifying physician compared to previously patients only being allow 45-day supply limit. Use or administration of medical marijuana on any public transportation, in public space, in qualified patient’s place of employment (if restricted by the employer), in state correctional institutions, on the grounds of preschools, primary and secondary schools or on any school bus or vehicle. The Florida legislation also paves the way for 10 more medical marijuana treatment centers by Oct. 3, which is the deadline for the new medical cannabis rules to be enacted, in addition to the seven already operating. For more information on medical marijuana in Miami, Florida or more information on changes to Amendment 2 click here. You can also contact our qualified medical cannabis physician's office at 305.615.2440 for an appointment. Infrequent, isolated muscle spasms are normal. They become an issue when they are reoccurring, intense, and start to affect your everyday life. To understand muscle spasm, it's important to recognize their causes and physiology of spastic muscles. A muscle spasm is when your muscles forcibly contract and do not relax like normal. Most only last for a couple of seconds and can be alleviated with light stretching, while some episodes can go for several minutes. Muscle spasms can affect one type of muscle or a group of interconnected muscles. Muscle spasms not only affect those who enjoy contact sports since it can also be a chronic problem with those leading a sedentary lifestyle. There are several factors when it comes to spasms. As you age, you increase your chances of having a spasm and those who overuse a particular muscle group for an extended period. Chronic dehydration is also coupled with cramps, as the trace elements that replenish engaged muscles tend not to be as abundant. Some of these trace elements include low potassium, calcium, and magnesium levels. Thankfully, the onset of marijuana has positioned it as a holistic, safe path to approaching muscle spasms. Compared to addictive opioids and muscle relaxants, the active ingredients can help alleviate discomfort without the risk of addiction. What Is Florida Amendment 2? 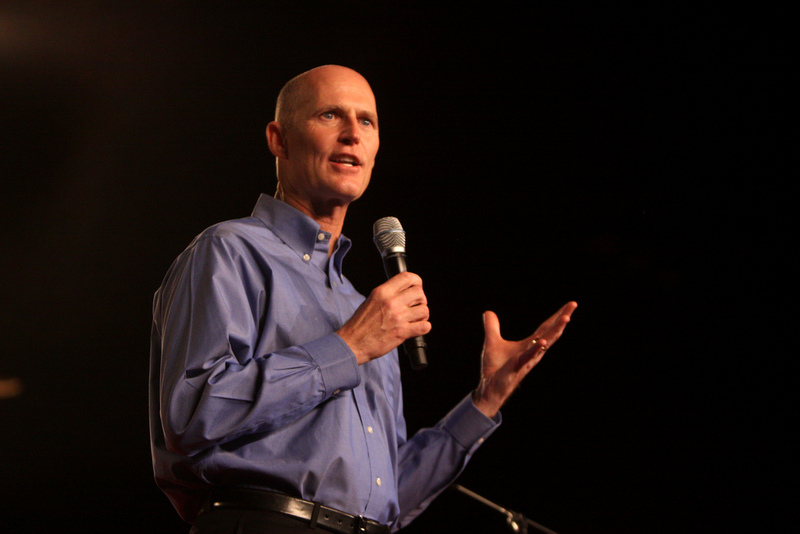 Florida has finally passed legislation on the legality of marijuana. Even though the legalization of marijuana was primarily supported at the ballot box, with 6.5 million votes in November of 2016, the Department of Health wasn't too sure how it will implement written provisions. Florida Amendment 2 directs the Department of Health to issue 10 additional permits for marijuana services and businesses. Out of those ten permits, several are for nurseries, and the Department of Health will issue the rest. The bill also requires that license holders keep up and implement seed-to-sale tracking for all of its products if it wants to keep its license. Marijuana will be tested for potency and other contaminants right before dispensing it to be public. The bill is also good news for patients - they do not have to wait a 90 day period to forge a relationship with a practitioner or doctor. How Does Marijuana Help With Pain? The science behind marijuana usage and pain relief have been well studied. But how tetrahydrocannabinol - or THC - interacts with your body's nervous system is sometimes overlooked. THC affects your endocannabinoid system. The endocannabinoid system consists of a system in the body and brain that affects different functions, including how you feel and react to pain. Neurotransmitters communicate pain to your brain. Since cannabinoids act on the presynaptic cells between neurons, they have the ability to control what happens when a cell is activated. They function by limiting the number of neurotransmitters shooting messages to each other. THC connects to the receptors throughout your body and brain, subsequently nullifying pain. 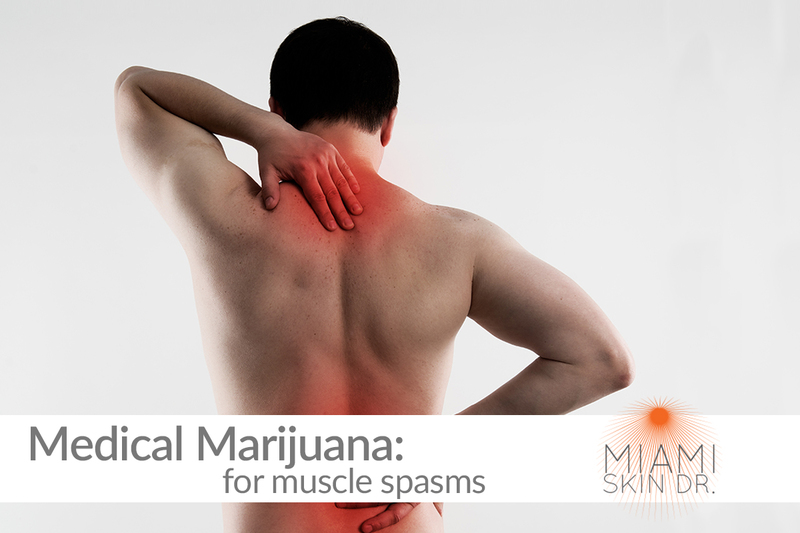 The active ingredient in marijuana can also help with muscle spasms. Researchers at the American Academy of Neurology have found that the application of medical marijuana in the form of oral sprays or pills reduced muscle spasms associated with multiple sclerosis. THC acts relatively quick, with minimal side effects. However, before you start a rehabilitative regimen with the help of THC products, it's important that you contact a medical marijuana physician that is cognizant of Florida laws and legislation, as one of the covered conditions is muscle spasms. For more information on medical marijuana in Miami, FL click here. Alternatively, call our office on 305.615.2440. We're standing by to help eliminate your pain. With all the recent news about medical cannabis being legal in over 25 U.S. states (including Florida), there’s a large increase in patients seeking out educational information regarding the benefits of medical cannabis. We’ve heard how cannabis can help relieve pain, aid cancer patients undergoing chemotherapy, assist with mental disorders, and other various benefits for a wide range of medical conditions. Another benefit of medical cannabis is the positive affect the plant has on the skin. But, the way it’s used to help your skin is not how you might expect. By smoking medical cannabis – which is actually not a legal form of medical cannabis use in Florida – you can actually damage your skin, potentially causing your skin to age faster. Smoking cannabis (also called marijuana) can exacerbate skin conditions like psoriasis and rosacea. How Can Medical Cannabis Help My Skin? Instead of smoking the plant, some dermatologists are applying the plant to the skin directly (often called topical cannabis or topical marijuana). Cannabinoids found in the marijuana plant contain powerful antioxidants and anti-inflammatory agents that not only help skin conditions but can help skin look younger. A 14-day study finds CBD-based topical improves skin appearance. In the same study, after the first seven days of treatment, 85.71% of the women reported an improvement and after 14 days, 100% of the women said they noticed a difference. The trail also found that 80.95% of the participants specifically noticed an improvement in skin texture. How Can Medical Cannabis Help with Skin Cancer? We talked about how parts of the marijuana plant (cannabis plant) can help relieve and cure various skin conditions, but what about skin cancer? There has been considerable research proving that cannabis oil can aid with skin cancers. There are three main types of skin cancer: malignant melanoma, basal cell carcinoma, and squamous cell carcinoma. Of the three skin cancers, malignant melanoma is the most deadly and the other two are slow growing, more treatable conditions. Malignant melanoma is a type of skin cancer that can spread to other parts of the body. A common symptom of malignant melanoma is a new mole or an existing mole changing color, size, and or shape. Basal cell carcinoma often looks like open sores, pink growths, shiny bumps, or scars and are usually caused by a combination of cumulative and intense, occasional sun exposure. They usually do not grow any larger than the regular size. Squamous cell carcinoma often looks like scaly red patches, open sores, elevated growths with a central depression, or warts. Caused by cumulative ultraviolet (UV) exposure over the course of a lifetime. They can become disfiguring and sometimes deadly if allowed to grow. In these cases a small amount of cannabis oil can be applied to the affected area with no pain, no surgery, naturally to cure and eliminate the skin cancer. For more information about how medical cannabis can help your skin look younger or how it can help a skin condition you may have, click here. Or call us on 305.615.2440. We're ready standing by for your medical cannabis questions in Florida.